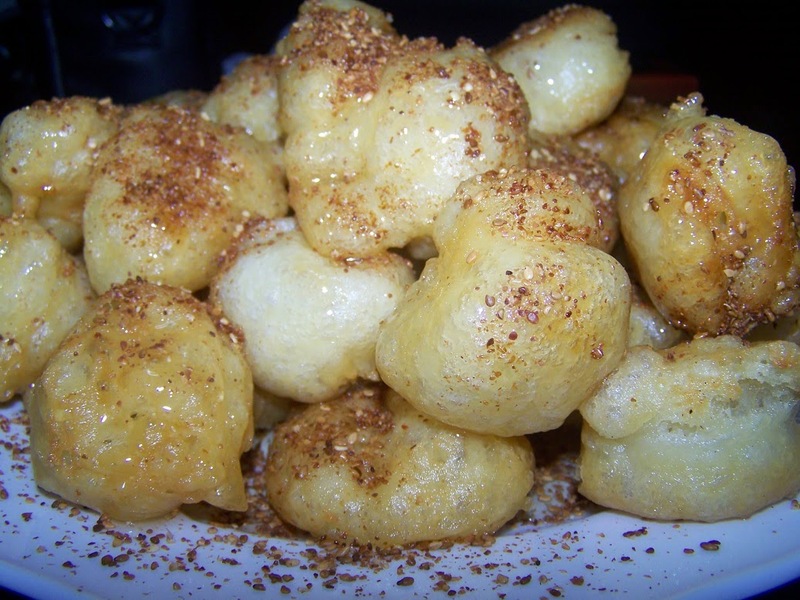 Loukoumades are a popular Greek sweet; Delicious mouthful balls of dough deep fried until golden then drizzled with molassa syrup or honey and sprinkled with sesame and cinnamon. They are nothing but yeast donuts that are drizzled with copious amounts of honey syrup and enjoyed hot. Loukoumades or Loukoumathes an amazing traditional Greek dessert - popular traditional sweet little fluffy - light-as-air - Greek honey puffs. It’s a deep fried dough pastry made balls of dough which are deep - fried until golden and crispy, then drizzled with honey and sprinkled with sesame seeds and cinnamon! Little bites of heaven! And one of the oldest recorded desserts in Greek history. In ancient Greece, were served to the winners of the Greek Olympics. The loukoumades are delicious little mouthfuls of heaven that melted in our mouths. Lightly crisp outside, tender yet pleasantly chewy inside these puffy, yeast-risen balls are soooo good light airy, crispy pastries crisp on the outside and fluffy on the inside – and they are absolutely delicious. 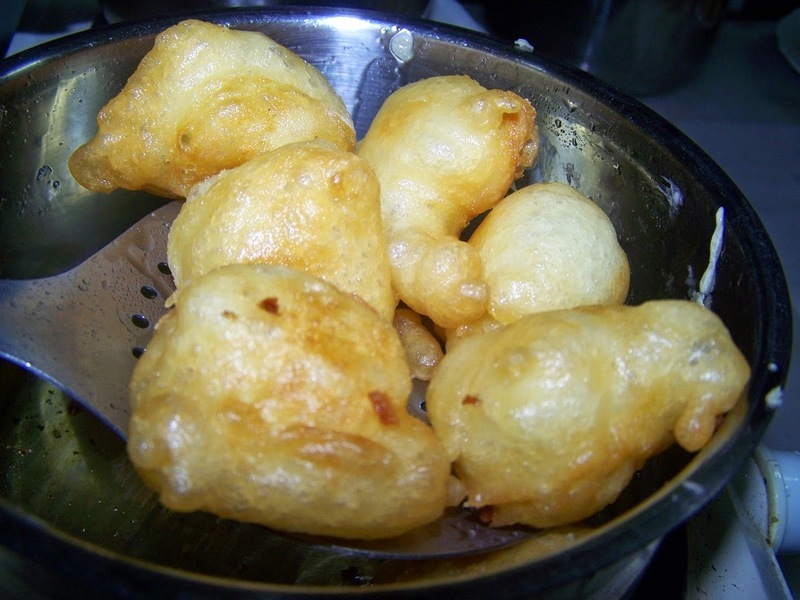 In the city of Heraklion island of Crete where I live, we eat Loukoumades as breakfast accompanied by a glass of cold water or a cup of coffee or a glass of fresh milk. In my city there are 5 small pastry shops serving Loukoumades since 100 years back. There are very popular and just delicious!!! Loukoumades are best if eaten warm, the same day they are made. 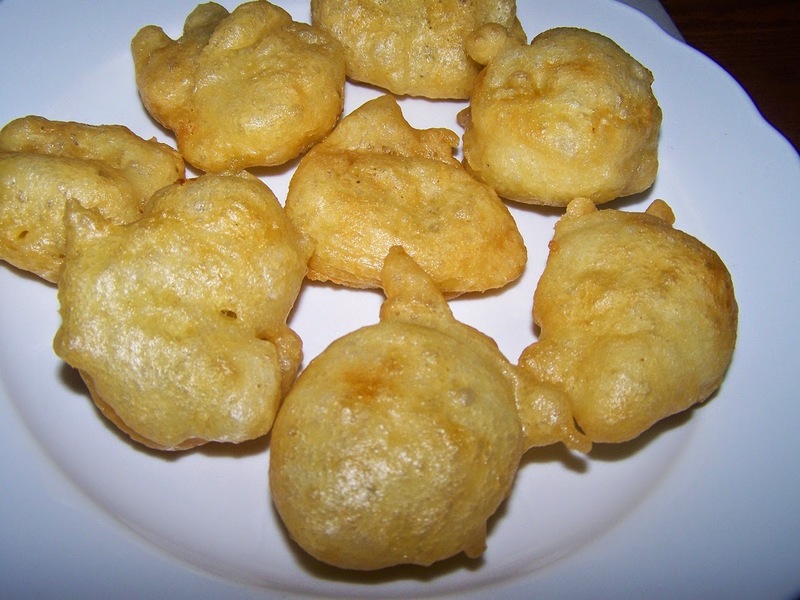 This amazing pastry, Greek Honey Puffs loukoumades are easy to make. Check out the recipe so you can enjoy them year-round! 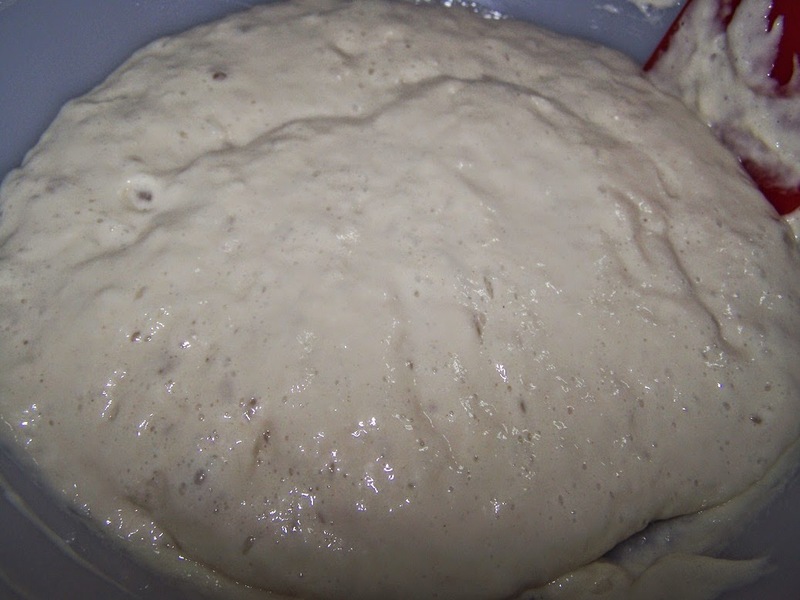 Put the flour and the salt in a bowl and gradually add the dissolved yeast mixing by hand. 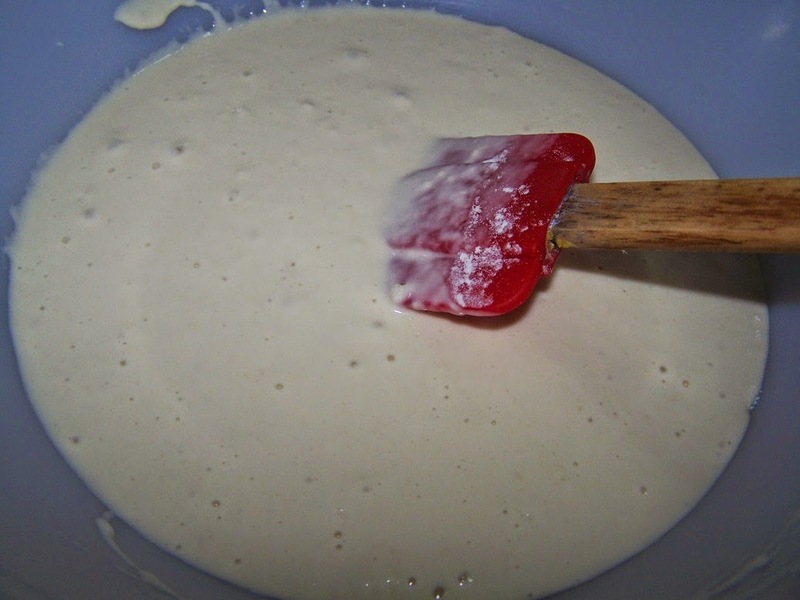 Gradually add some lukewarm water until you have a paste that is neither too fluid nor too thick. 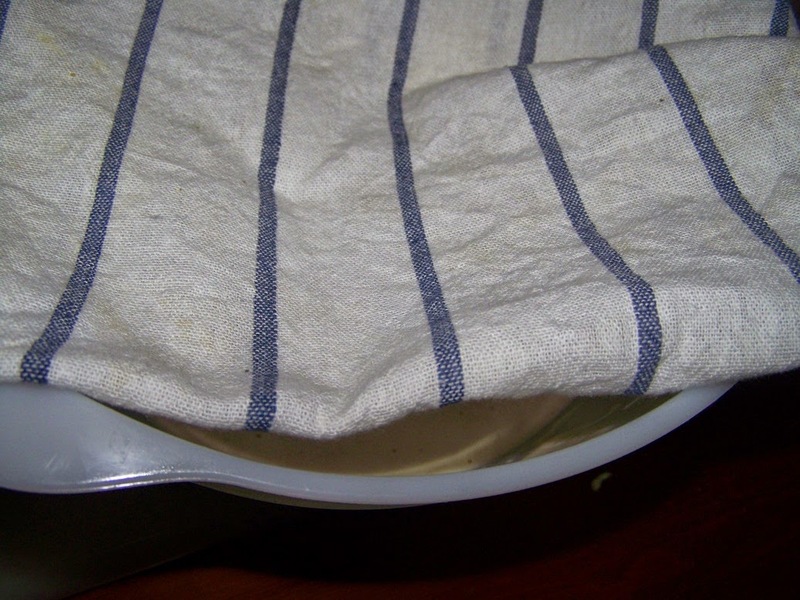 Cover the bowl with a towel and let it stand for about an hour. heat plenty of oil in a pot, until it is hot. 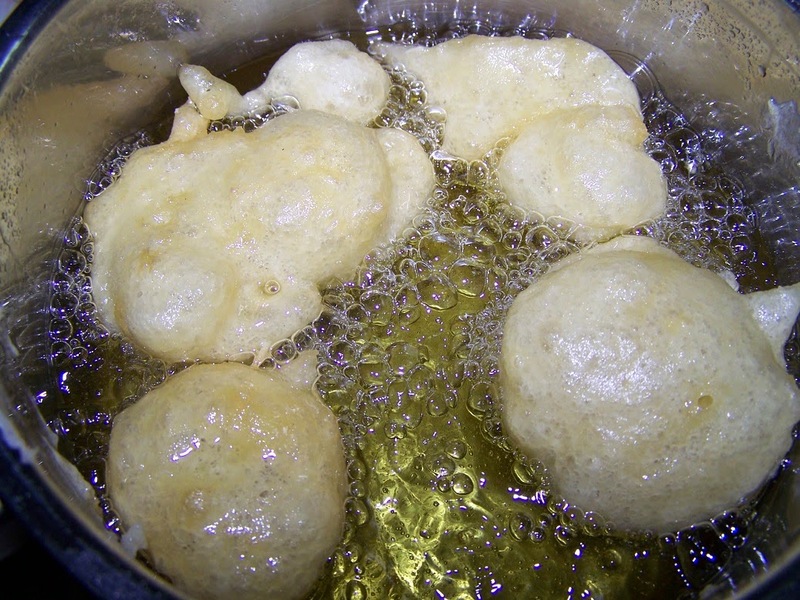 Using two spoons carefully drop about a teaspoon full of batter for each puff into the hot oil. 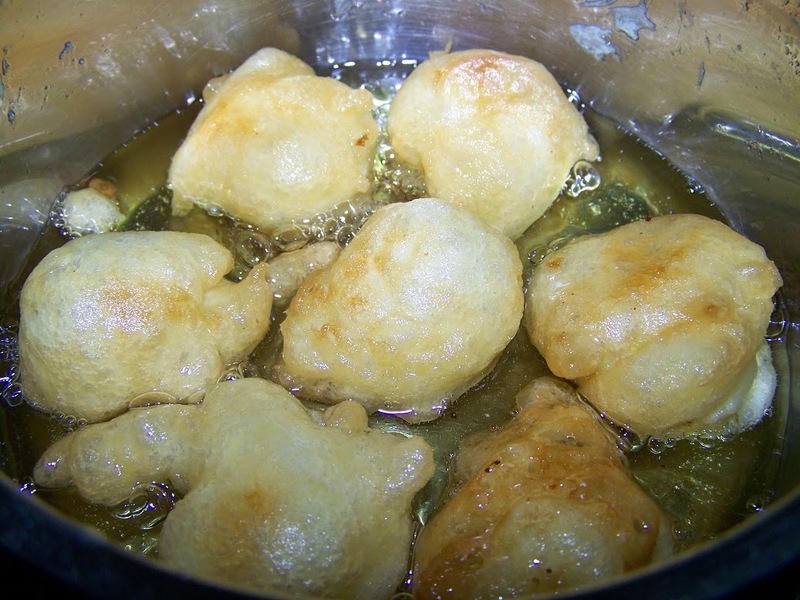 Turn the puffs using a slotted spoon and fry until golden brown on each side. and place them onto a plate. or the honey and sprinkle with sesame and cinnamon. Αναρτήθηκε από George Portokalakis στις 7:28 π.μ. George Portokalakis 29 Ιανουαρίου 2015 - 7:38 π.μ. 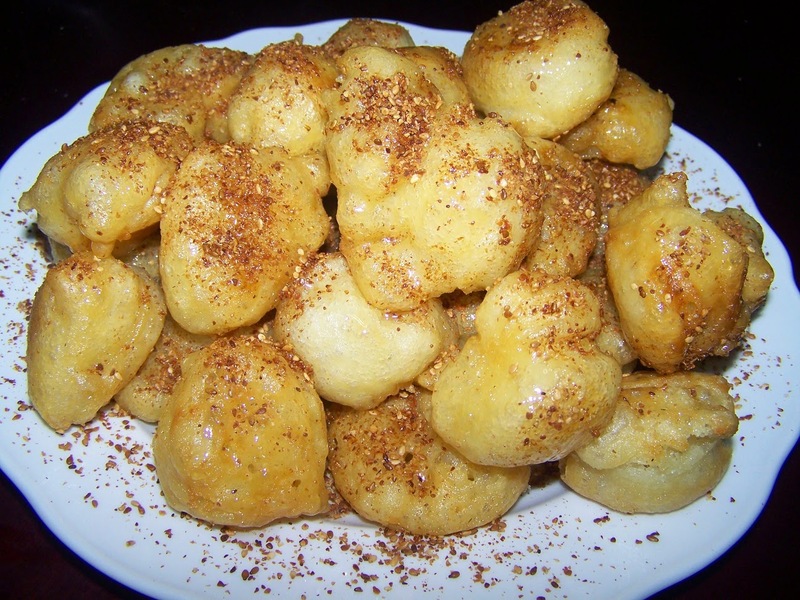 LOUKOUMADES or Loukoumathes an amazing typical traditional Cretan breakfast dessert. They are nothing but yeast donuts that are drizzled with copious amounts of honey and sooo goood! BIG SAVINGS FOR SMALL GROUPS!